As Canadians, we are spoiled for choice when it comes to selecting a credit card. If you are looking to get a new credit card or shopping around to see what else is out there, you’ll quickly see all the differences there are between card issuers, credit card companies and the range of rewards. It’s great to have choice but, frankly, so much of it can also be a bit overwhelming. How to Find the Best Credit Cards in Canada? 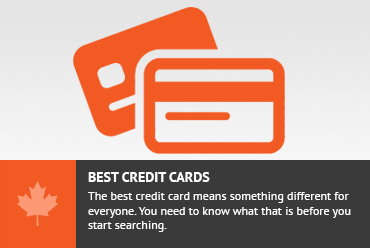 The term “best” is a bit of a subjective one when it comes to credit cards. Before you go and do a Google search on what the best card is, you probably need to take a step back and think about what’s most important for you and your own situation. Finding the “best” card is highly dependent on your personal needs. For instance, if you’re a parent you may be looking for rewards that will help you get the best deals from your favourite retailer. If you’re young, without children or nearing retirement (kids have left the nest) and love to travel you may want to sign up for a competitive travel rewards cards. The best credit card means something different for everyone and you need to know what that is first before you start searching. One of the most important things to consider when applying is your credit score. If you have a bill in collection or carry a balance on your credit card the chances are you will not be approved for some of our #1 rated cards such as the Scotiabank Amex Gold. In this case, a good alternative is going with a brand of credit card you already have a relationship with. If you already use a Scotiabank credit card it would be wise to apply for a better card from Scotia that we offer in the list below. If you carry a balance and have credit card debt you’re best choice will be one of the “Credit Cards for Carrying a Balance”. A word on annual fees. If the annual fee is stopping you from getting one of the elite tier credit cards, this could potentially be a great mistake. If you’re using it as your main spender or the main spender for gas purchases it’s likely you will earn much more rewards than with a standard no fee card. 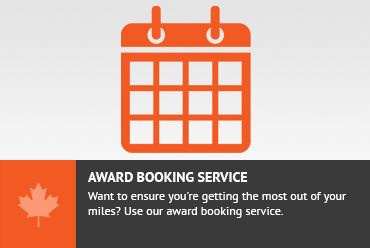 For travel rewards, it’s recommended you start with the “Fixed Points Rewards Credit Cards”, as a beginner you won’t have to worry about the tricks to booking with different types of miles. 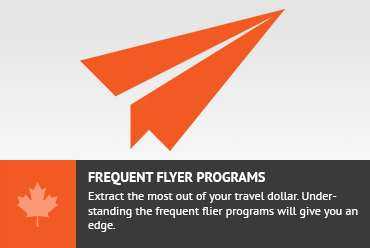 More experienced flyers will already know they want to look at the “Travel Points Credit Cards” since they will be able to exploit transfer bonuses and special awards for destinations they already know they will be going to in the future. The top Canadian credit cards for 2014 have been compiled. I have separated these based on the type of card. Please follow the links for the writeups and comparisons. I thought I got the best deal I could with Capital One, which gave me a 6% interest rate for 3 years. That rate just expired and I was informed in small print one bill prior to the expiry. The new interest rate put my next bill over limit by 7$. I was charged an over limit fee on that bill, and the credit bureau was informed, affecting my credit rating. Doing business with Capital One has now negatively affected my credit and therefore my financial plans for the future. Other cards don’t necessarily declare you over limit if their own interest charge puts you over. But on top of that, it really adds insult to injury that the interest charge only put me over limit because of the CHANGE in interest that very month. Consider this if you want to do business with Capital One. Looking back, I regret getting this card – it’s done me more harm than good. No offence, but Capital One isn’t really to blame for affecting your credit score. Maxing out your credit card and/or carrying a balance is the real issue that will negatively affect your score no matter which card you have. If you aren’t able to pay off your balance, then perhaps credit cards are not a financially good choice for you. Beware credit card sign up point promises. Do not expect to see you reward points, or dollars when you sign up for a rewards card. Signed up for an Scotiabank American Express gold in February on the offer of 20,000 pts or $200 reward. After signing up my wife and I immediately used the card for the our southern vacation, meeting what I thought would be enough to make sure that Scotiabank would then give us the sign-up points. To make a long story short each time I phoned Scotiabank about the pts, they would tell me something different or bounce me back and forth between their Scotiabank rewards people and their card people. I was told on one call I would have to wait 2 billing periiods before I would see my sign up bonus. After calling back after the 2 billing periods were up I was told 2-or 3 billing periods. Then when I called back after 3 I was told it was 5 billing periods. To add insult to injury I was told it was my fault that it was all in the fine print. ( Even though I signed up on line and there was no mention of waiting 5 billing periods.) The gentleman from Scotiabank said it reads you must wait 90day and then an additional 2 billing periods for a total of 5 billing periods. My point is that they could and should make it clear up front that there is a 5 month/billing cycle waiting period. They do not. In reality it was clear and acknowledged that most people at Scotiabank giving out the answers do not even know. So how is the customer. As an aside Scotiabank despite admitting to obvious issues, refused to expedite, or explain the reason for making the customer wait to get their sign up points/rewards. RATING on this from me is 0. SCREW Scotia Bank. I have twice been derogatorily Phuqued with my them….totally their fault. Yet the arrogance and condescension was simply unbelievable. Not going to elaborate here with the long stories….suffice to say, they boned me by not cancelling card insurance and then when i complained about those bills coming after I cancelled the card, I ended up having to cancel the insurance myself…but by that time there was some 0.85 of interest….I complained about that and was told..OK Mr XXXXXXX we will Fix that for you all right….come to find 4 months later I had an R9 credit rating….the lowest of the low …. over a goddamned dollar.! I near went postal. 4 days later received via registered mail an apology from some VP In Calgary…but y credit was screwed for 6 months till those Quebec bastards removed the notes….yea, I would NEVER Deal with those SOB’s. 2nd occurrence was I bought a 5th wheel – partially financed by Scotia Credit. this was in 2014…and so I enquired if I could set up an account with which to pay extra amounts on to the loan…was told no, I had to come into the branch…half way across the city. what a CROC…that was simply in place to make it difficult to make said payments so they could reap the benefits of extra interest charged and compounded…BASTARDS…I accused them of Usery…then went in and paid it off with my LOC…and told them point blank they would never see me again….EVER. Beware of Scotiabank promises of bonus signup points and rewards. I signed up back in February for an American Xpress Gold account and was promised a 20,000pt or $200 signing bonus. However even after signing up and purchasing our vacation trip on the card, we have been getting the runaround on our efforts to get the 20,000. It appears no one I talk to at Scotiabank can give a straight answer, and I was repeatedly bounced back and forth between Scotia Rewards staff, and Scotiabank card staff. Getting something different from each. I was first told there was a two statement/month waiting period. (but never told why) Then I was told after 2 months it was a 2-3 month waiting period. Then after 3 months I was told it is actually a 90day waiting period, + an additional 2 month billing period or in other words a 5 month waiting period before I would see my sign up bonus. The problem I have and am having is why is this not clearly stated up front you will have to wait 5 months ? Why can they not explain to you the reasons you have to wait 5 months ? and finally how can a customer know the waiting period when it was clear from my multiple different responses that Scotiabank themselves do not know answers or reasons. It clearly leaves you thinking .. there just scamming people.? Thanks for this datapoint. I am actually quite surprised by this as my experience with Scotiabank was great. I found the rewards posted quite fast (I dont recall exactly, but I do get very anxious if they are not relatively immediate). This is an important note. My personal way to mitigate this is to discuss this via the online chat feature and everything is in writing. Your first response would have been 2 billing cycles. As soon as that happened you could show the evidence from the online discussion as proof and then a quick call to the complaint line that is on your statement (it should be the ombudsman of financial affairs) should have this quickly resolved in your favor. It is frustrating when some of these banks dont have their act together. I am sorry to hear this happened to you. To Add to this, here is the link to make a complaint to the ombdsman. I would lodge a quick complaint there and I think they should take care of that relatively quickly, assuming they are not taking care of it now. Terrible customer service also at Scotia. Called and left messages and never once got a call returned. Just got a notice from my Visa Desjarden Card. They are increasing my interest from 9.9% to 10.9 %. Called and asked why…they said it was still one of the lowest interest rates in Canada! Would not budge. Right now I have a zero balance, paid my bill’s on time and have a good credit score. They have a rewards program (bonus dollars) but my reward was an increase in the interest rate! The visa Desjardins cards at 10.9% and all the additional features on he cars, including the mobile devict insurance, is one of the best fixed low rate cards in he Canadian credit card marketplace. Don't subscribe All Replies to my comments Notify me of followup comments via e-mail. You can also <a href='https://www.creditwalk.ca/comment-subscriptions/?srp=56&srk=2648578ecea05c83754707575dc5a494&sra=s&srsrc=f'>subscribe</a> without commenting.